← Henry: The Game’s Afoot! I just nominated you for two awards: Versatile Blogger and Beautiful Blogger! You don’t have to post them, I just wanted to share. http://wp.me/s2b2NZ-awards is the link to the post. I felt everything you wanted to convey Monica. Beautifully written, how amazing to be in that room. I will be adding this to my list. I saw the CNN interview and thought to myself, how fascinating. I have seen numerous films, documentaries and heard every theory in-between about this sad, sad day. I didn’t grow up in the US, but I was a part of the rest of the world, mourning for two beautiful children, a wife, and a country. In the end I came to my own conclusion that there was no conspiracy, just a sick man with a gun, it’s interesting that Mr Hill believes the same thing. Do add it to your list, MM, I think you’ll like it. His is a remarkable story, and the way he described the assassination, it seemed logical, that it was a lone killer. I’m so glad you wrote about this book, of which I hadn’t heard. I’m definitely going to read it. I remember exactly where I was – in my 4th grade classroom – and exactly what happened. Our teacher was called out into the hall. She came back in a few minutes later and told us that the president had been shot and that we were all to go home. For days, everyone was glued to the TV. I remember all of it, even what I wore when we watched the funeral. Eloise, what you describe is pretty much what I, too, remember. I was in elementary school and a teacher came in to the classroom to speak to my teacher. She left. Our teacher told us the president had been shot. Moments later the first teacher returned. This time, in tears. She whispered to my teacher and left. Then my teacher, started to cry as she told us the president was dead and we were to go home. It was absolutely shocking and incredibly sad. End of an era. I think that people our age all over the country experienced the same thing that day – school ending early, going home stunned and with no idea of what would happen next. It’s one of those incredibly sad moments that gets burned into your brain. It brought people together in a way that events like that do, Sigh. I can’t help feeling this was written just for me…I LOVED it! The Kennedy’s have always fascinated me…I’ve always wondered if there was more to his assassination than just a crazy guy with a gun. Thanks for the great read. Just what I needed after a horribly long day! Nate, you called it! 😉 You were the one who told me to write it. Trust me, I wasn’t going to, as it really was an emotional experience, the kind that felt like you had to have been there. But, anyway, there you have it. I’m glad you liked it, too. As for the conspiracy theories, Mr. Hill firmly believes it was a lone guy with a gun. Nothing more. How absolutely moving. My heart aches. The last question by the woman in the audience almost broke me down. I watched the author inteviewed by Pierce Morgan last week. Kim, that last question gave me the chills. Also, fyi, the woman sitting next to me during the presentation was Mr. Hill’s next door neighbor back when he lived on Cape Cod. She was telling me how her older sister used to babysit Clint Hill’s son. Speaking of his son, Mr. Hill told us that during the four years he spent with Mrs. Kennedy, he spent more time with the Kennedy children than he did with his own. You could tell he felt bad about that, too. Gracias, Bella! I haven’t finished reading it yet, but it’s a great read so far. Lovingly told. How wonderful that the SO is a fan of JFK. My brother is practically obsessed with JFK, too, and he’s been to Dallas, Dealey Plaza, twice to review the scene. I remain in awe of the them and those Camelot days, which, as a kid, seemed magical to me. And then three bullets took it all away. Sigh. One more thing, Monica: I just wanted to let you know I nominated you for both the Versatile Blogger and the Beautiful Blogger Awards! Here is the link to my post: http://lisawrosenberg.com/2012/05/08/versatile-blogger-beautiful-blogger/. No pressure; just wanted to share. Monica, wow, I loved reading that. I would love to hear Clint talk. I find first hand accounts so interesting as they are filled with such an energy. 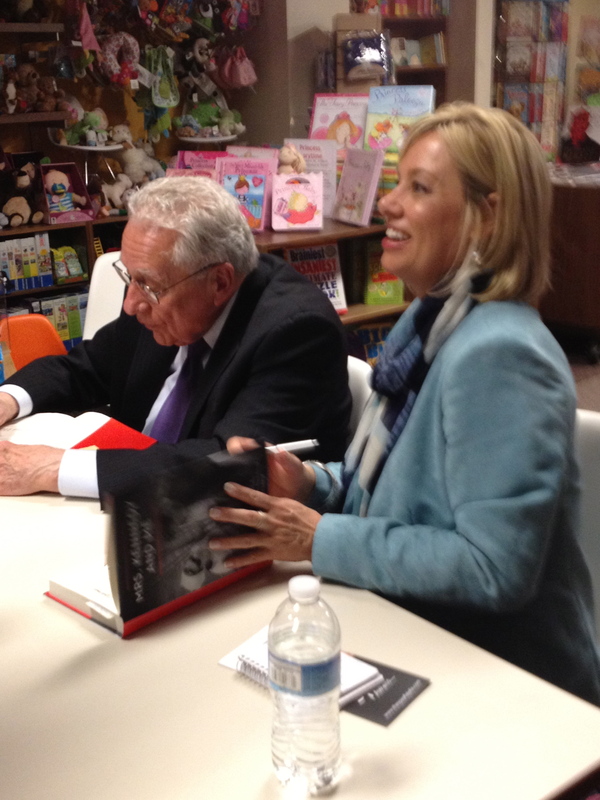 Jodi, hearing Clint Hill talk was very special. I’ve been to several author presentations, but this was by far the most emotional one. Riveting, too. I loved the book. I found Mr. Hill to be such a kind caring man. 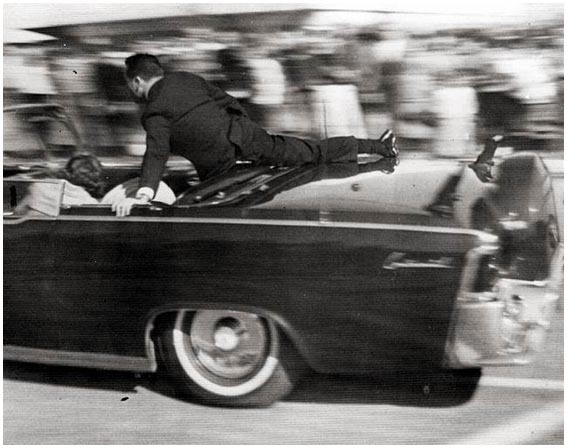 If he was initially disappointed to be protecting Mrs. Kennedy, I think he got over it. You can tell that he has a deep love for her as a person. The book was truly compelling…like you said, it took us back to our childhood. A very sad moment, but one we can never forget. Great review, Monica. Really wonderful! Annie, I’m so glad to know you read it! And, you’re right. He did get over it. His love for Mrs. Kennedy was so evident. It really pained him he wasn’t able to do more. Thank you for reading my re-cap of the evening. Glad you enjoyed it! I was only three in ’63, yet your post had me blinking back tears near the end. I imagine there wasn’t a dry eye in the room. Very poignant Monica! Our mommy is very into this history too. Monica, aside from the moment and the people you are talking about, the post itself was a terrific read. You had me on tenterhooks reading through to the very end. Nicely done, you set the scene and tone of the room. You held it through the end of the post. I don’t know if I’d pick up the book or if I did, if I would read it all the way through it, not for any other reason other than I dislike knowing the end of something before I start it. It’s a fault of mine, but after years of knowing this about myself, I am no longer ashamed to admit it. This one really gets me in the gut. When I was 10 years old, I rode my bike around the neighborhood in my plastic JFK campaign hat handing out literature. I was so excited when he was elected. When he died, I was a freshman in high school, just walking back into the building from lunch and it was announced over the intercom. For me, that’s when the entire world shifted on its axis. Things were never the same. What an historical photograph. Thanks for sharing this, Monica. Jayne, I had a feeling it might. You and I are of the same ilk when it comes to stuff like this. We remember with your hearts. I love how you say it: “The entire world shifted on its axis.” So true. Your post had me riveted . . . I can only imagine what it was like listening to Mr. Hill. His book strikes me as a fascinating sidelight to the events so imprinted in our collective memories. It certainly is! Deborah, I hope you get a chance to read it! Wonderful post, Monica. Years ago, I went to Dealey Plaza and the Grassy Knoll area where JFK was shot, and it still resonated with memories. I’m sure most Texans would have preferred that his death occur in any place other than Dallas. Regardless of whether you supported JFK, his politics, and his way of life, you had to be affected by his death. You did a good job summarizing Mr. Hill’s eye-witness seat to history! Thanks, Debbie, I’m so glad it came across. I was very impressed with him and his devotion, after all these years, to Jacqueline Kennedy. It was quite an experience. You did such an amazing job with this post… very compelling and had me rivoted right to the end. How moving it must have been to be there. I was still in the hospital with my mom at the time of Kennedy’s assassination, having just been born. Coincidentally, my second son was born just a few days before Princess Diana’s death. We share these tragic but collective sorrows as our birthday buddies. It was incredibly moving, Astra. I’d never cried at an author presentation before. It was humbling to be in Mr. Hill’s presence, too. Interesting post Monica, I will keep an eye out for the book this side of the pond. There are many people in the UK who have no connection to the USA but they can still remember where they were when the incident happened. Bearing in mind I was the same age as you when it happened, I think it was because he and his family were known and liked here in the UK, simple as that. Also that it was such a terrible thing as well. The Kennedy family must be the most recognised American political figures for many here in the UK of our generation. What a great story! Thank you for sharing! You are so right – some events we will never forget and will always remember the time and the place, when it happened. My first recollection of a particular event was the Challenger! We were in school and were watching how it went up and then few seconds later how it went down. Being raised in Soviet Union during the cold war – nobody knew how to react! Our teachers did not know how to explain and how to control our emotions they did not know if we should we be said or happy. I remember our teacher would tell us that something like that would never happen in our society – it was very, very confusing! Wow, Ariana. I always wondered what people in other countries thought about this. That’s so interesting that your teacher was sending mixed signals. Wow. It’s heart-rending to hear anyone talk about that time. It seems as though no one ever really got over that. Even though it was before my time, I feel the emotion behind the entire event. Tracey, we did get over it. We have learned to live with it. But, it will always be a little pain, a tiny knot, that stays in the back of our minds. Never forgetting. For as long as we live. It was the first death that I experienced, and being so young, it was traumatic. I was in school that day, and it was the first and only time I saw so many teachers, including mine, cry. It was an awakening. Such an important piece of history, such a compelling story of a story, particularly in the personal way you tell it, Monica. 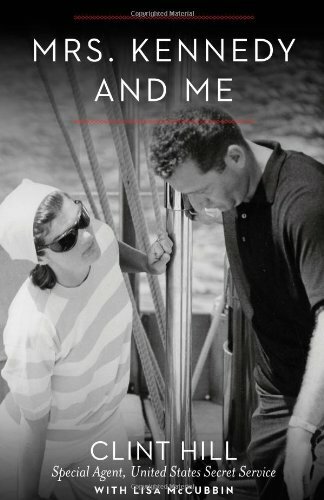 Also, I was fascinated by the back story of Jackie and Onassis. I know! I was fascinated by the back story, too! I never knew that’s how they met. In fact, when they did announce their wedding, I felt as though it came out of left field. I didn’t know there was a “history.” Thank you, Lisa, for your kind words. This is the best review I’ve seen or heard of that book to date because it’s so personal. You brought us with you to the event. Thank you for sharing. Thank you, Lisa. For me, the book is personal. Thank you for bringing us to this book event. Fascinating read. I remember 11-22-63 so well. I was in Mrs. Cruise’s science class the last period of the day in my East TX town just 100 miles east of Dallas. I couldn’t wait to get home. I felt so horrible that it had happened and that it had happened in our state. Our family didn’t go to church that Sunday following as we had the TV on and then to add to the insanity we witnessed another shooting as Jack Ruby leaped through the crowd wielding his gun. I remember witnessing Jack Ruby, too! I was 8, and saw things in black and white–from watching all those westerns and crime films. To me, what Ruby did seemed to be a good thing, getting the bad guy. I wasn’t thinking of the ripple effect of what that meant (not ever knowing the full story, etc). I’ve seen Hill interviewed on CNN. I love that image of Caroline playing with paper dolls while the inauguration played in the background. If that isn’t a metaphor for the little-girl experience of that era, I don’t know what is. Fascinating post, Monica! JFK is worshiped and esteemed but the immorality of his personal life is revolting to me as is that of MLK and John Edwards. I’m pretty certain if JFK were to run today, his personal life would bring him down. There’s something to be said for the days when things were kept private (like FDR and his health issues), but I was a kid, and the world was different and we held our leaders in high esteem then. I don’t think that’s all bad. I admit his magic did touch me and I broke down and cried when little John John saluted the casket. So, did I, Carl, so did I. That was a powerful moment. What a compelling post this is. You’ve done exactly what you praise Mr. Hill for doing, building the tension in your story until the ‘day’. Well done. 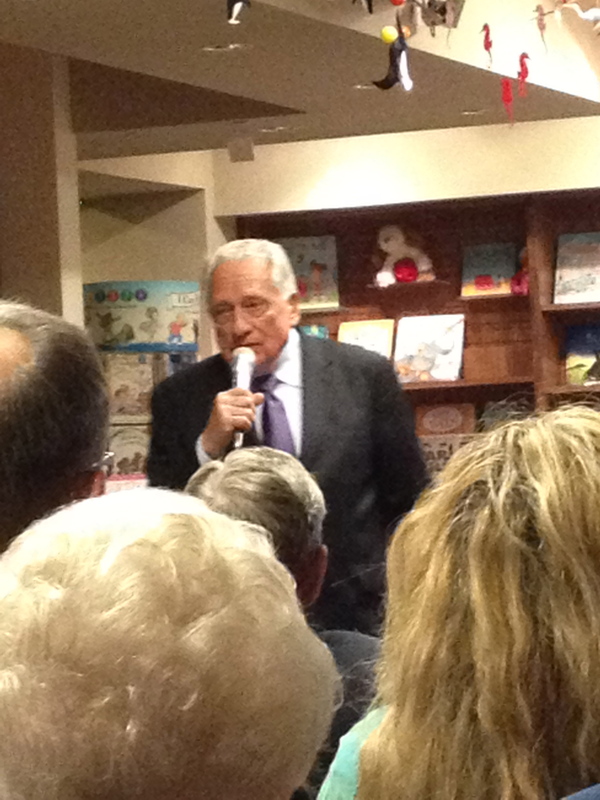 Mr. Hill comes across as being quite intelligent, forthright, and well-spoken. I felt the same about him when I watched an interview with him on television. Thank you, Renee. I really wanted to convey how it felt to be in that room with him. I’m glad you recognized that. Oh I remember that day so well. I was living in Scotland with two babies and couldn’t believe that the President was dead. No room for any more books in this house so I shall see if our library has that book. Thanks for sharing this. It was a terrible day for an entire nation and all its allies, and though there has been so much already written on the subject, this memoir is more than that day. It really is a poignant glimpse into the life of the First Lady and her family. Well worth the read. Sounds like an interesting book. Intense times do seem to unite us, don’t they? Yes, they certainly do, Karen. Back in September the entire region I live in experienced a blackout. Even things like these unite us. Thanks for reading my post.